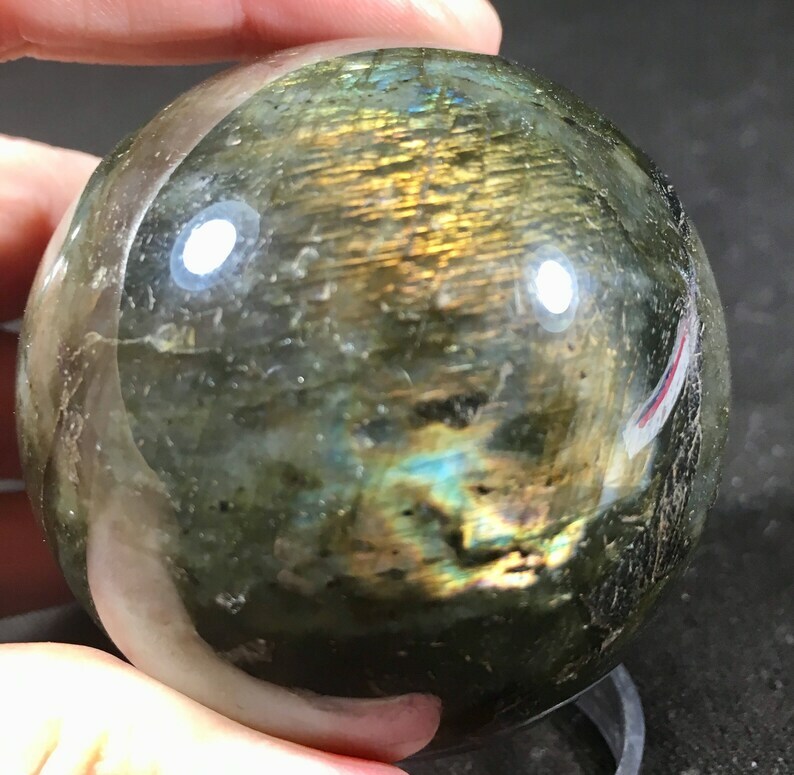 This Labradorite Sphere is approximately 2.3 inches in diameter. This sphere has a lot of pink flash. This piece would make a great addition to a yoga or meditation space. The Inuit peoples claim Labradorite fell from the frozen fire of the Aurora Borealis. It is an ordinary stone that transforms to the extraordinary, shimmering in a mystical light that separates the waking world from unseen realms. It is a stone of magic, a crystal of shamans, diviners, healers, and those who travel and embrace the universe seeking knowledge and guidance. Labradorite is excellent for awakening one's own awareness of inner spirit, intuition and psychic abilities. It is the most powerful protector of the mineral kingdom. Labradorite creates a shielding force throughout the aura and strengthens natural energies from within. 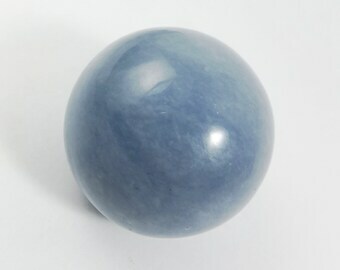 It protects against negativity and misfortunes and provides safe exploration into alternate levels of consciousness and in facilitating visionary experiences from the past or the future.